The Xbox One has landed and it has been a long time coming. It may not seem that long ago when the Xbox 360 launched (2005), but it seems much longer from both a technology and video game perspective. While the Xbox 360 proved to be no slouch over the years, Microsoft has now released the Xbox One to compete in the next generation of gaming. The design of the Xbox 360 was a radical departure from the original Xbox, featuring a white concave design and removable face plate. The internal hard drive and wireless connectivity were optional features, though both would be gradually integrated into the console in its more recent, compact reiterations. The immediate thing that stands out with the Xbox One console is how the design is reminiscent of the original Xbox. It’s big and black, though it looks more like a VCR this time than a wannabe prop from an X-men film. The size and weight of the original Xbox was criticised when it came out, particularly when it was compared to the more compact design of the Sony PlayStation 2. The Xbox One will likely come under the same criticism, though the VCR-like design is actually quite endearing and avoids using any green colouring. Despite the large design of the Xbox One, it still comes with an external power supply. Although it is not as large as the one for the original Xbox 360, it still dwarfs external power supplies for modern devices such as Ultrabooks. Connecting the Xbox One to a TV is just as easy as it was with the Xbox 360. HDMI is the main connection interface, but you also have the option of connecting separate digital audio via an optical S/PDIF port. Unique to the Xbox One is an HDMI input port, which allows you to connect broadcast services or other compatible devices to the console for access within the software dashboard. The jury is still out on how much demand there is for the HDMI input port and whether it will find much use, though it's there in case you need it. An Xbox One branded HDMI cable, a handy accessory that was conspicuously absent with the last generation of consoles, also comes with the console. For Internet connectivity, you get a Gigabit Ethernet port, and integrated 802.11n Wi-Fi (with Wi-Fi Direct support). Booting up the Xbox One, you immediate notice how quiet it is. There are no odd start-up noises, such as the system fan or hard drive aggressively spinning. This lets the Xbox One better blend with the surroundings of your living room without unnecessarily standing out when being used. One thing we did notice is that the console has an unusually long boot time, which is at odds with how quickly Microsoft’s own Windows 8 starts up on a typical modern PC. The Xbox One has a sleep mode that allows you to quickly turn the console on and off while it's still plugged into the wall, but more eco-conscious users will find themselves having to sit through long boot time every time the console is turned on. The operating system of the Xbox One borrows a lot of visual cues from Windows 8, or more accurately, Windows Phone 8. The background is black and colour is supplied via the various tiles on the screen belonging to software and functions. The interface comes alive with links to Xbox Live marketplace and your gaming profile when the console is connected to the Internet. However, none of this is present when the console is offline, resulting in a somewhat barren experience devoid of colour and variation. When the Xbox One is turned on for the first time, a mandatory firmware update is required to be downloaded. It was approximately 500 MB in size, taking several minutes to download and a few more minutes to install. Mandatory day one updates such as these have become the norm for modern technology these days, and the Xbox One is no different. On the positive side, the update is not excessively large to download and installed without any issues. 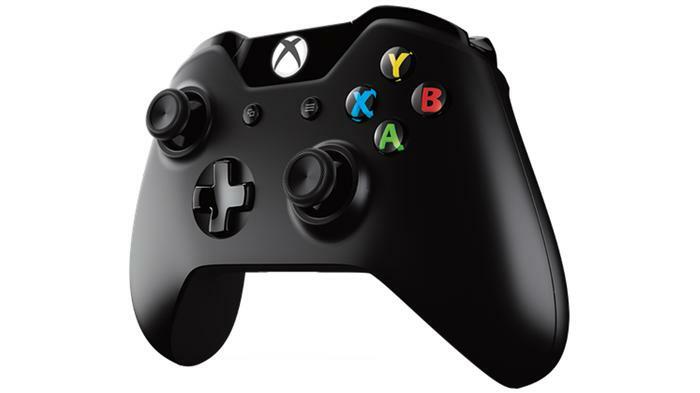 The Xbox One comes with a redesigned wireless control pad that carries over many elements from the Xbox 360 control pad in a slightly smaller form factor. Overall, the controller feels lighter with a thinner plastic shell, and the directional pad is not as stiff as on the Xbox 360 controller. The new design means that the rumble is more evenly distributed, to the point where you can feel the vibrations at the ends of the grips. The choice to power the control pad with a pair of AA batteries is an unusual one, particularly since more and more devices come with inbuilt batteries, as the PlayStation 3 controller does. 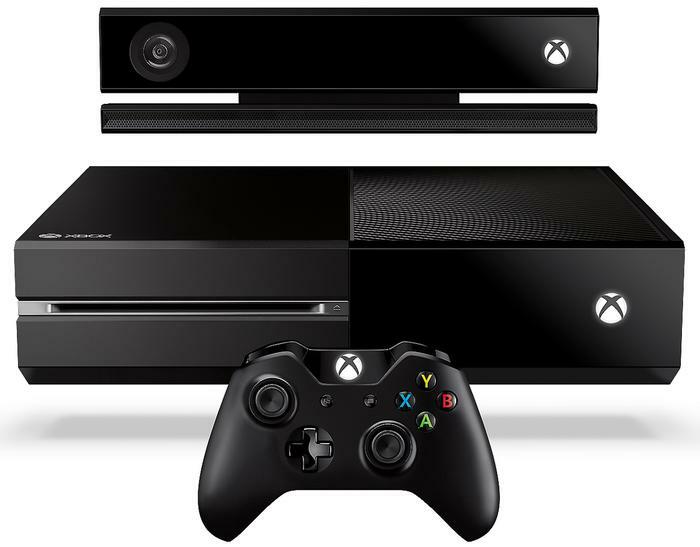 The Kinect was released as an add-on for Xbox 360, but it comes as a pack-in with the Xbox One. The motion tracking device comes with an improved camera and infra-red sensing that's a significant improvement over the original Kinect. The Kinect cable is surprisingly long and thick, but it has been engineered to draw power from the Xbox One without requiring a separate power supply. Kinect can be set up to sign you in and out of your profile through visual recognition, as well as control various features with voice commands, but it's possible to operate the Xbox One without using any of these Kinect features. Bundling of the Kinect poses an interesting dilemma, as it has undoubtedly led to the higher retail price compared to the PlayStation 4. The original Kinect seemed to suffer from a lack of third party support, likely due to its late debut as an accessory, so bundling it is designed to give developers and publishers added impetus to include Kinect functionality in games. Even so, the Xbox One launch titles don't seem to make extensive use of the Kinect, though this may change in the future. As with the HDMI input port, the feature is there just in case it may find use in the future. The Xbox One also comes bundled with a headset to be used for playing online on Xbox Live. The design of the headset is simple but functional, though you’ll likely want to invest in a more comprehensive headset for playing games both offline and online. Games on Xbox One come on Blu-Ray discs, though they require a mandatory install on the console’s 500GB hard drive before they can be played. This is due to the increased size of the games and the inability of the Blu-Ray drive to read the data at a fast enough rate. While PC gamers are well acquainted with installing games on their system, the Xbox One only requires a certain portion of the game to be installed before it's made playable. The rest of the game continues to install in the background as you are playing it. With Forza 5, the install reached 15 per cent before we were able to boot the game. This initial install took only a few minutes, but the game continued to install for much longer in the background until completion. The only negative thing about this installation feature is that it demands any patches to the game be downloaded first before installing. In the case of Forza 5, a four GB patch was required to download otherwise the game would not install. Fortunately, this is overcome by taking the Xbox One offline, as the console allows games to be installed without requiring the online patch. With Forza 5, the large patch is related to bolstering the multiplayer aspect of the game, which is often the case with online enabled games. With all of the focus on the media playback and connectivity features of the Xbox One, it can be easy to forget that the console is designed to play the latest games as well. From that end, Microsoft and third-party publishers have released several titles in time for the console’s launch. Forza 5 is Microsoft’s big first-party release, but the absence of a proper Halo game is strongly felt, particularly after the release of last year’s acclaimed Halo 4. Instead, Microsoft has ensured that big budget third-party titles such as Dead Rising 3 and Ryse: Son of Rome are exclusive to the Xbox One. Electronic Arts and Ubisoft have managed to release recent multiplatform titles on the Xbox One, typically with a visual upgrade over the current generation versions. So far nothing too radically different has been release by Microsoft or other publishers on launch, but this should change as the Xbox 360 is left behind in favour of the Xbox One. Even so, questions are starting to rise around the current and potential horsepower of the Xbox One. Games such as Forza 5, Need for Speed: Rivals and NBA 2K5 output natively at 1080p, but games such as Battlefield 4, Call of Duty: Ghosts and Assassin’s Creed IV: Black Flag display at 720p. On a cheap LCD TV such as a 40in Bauhn from Aldi, the difference between 720p and 1080p may not be that clearly visible. However, on a premium TV such as a 55in LG LED Smart TV, the difference between the two resolutions is evident even at a glance. It's still early days for the Xbox One, so there is a possibility that more games will come out on the console in 1080p, or even 900p, as developers become more familiar the development tools. However, this is something time will tell, much in the same way latter PlayStation 3 games improved over initial ones. Should you buy the Xbox One? If you grew up playing games on the Xbox 360, or even with the original Xbox, you’ll likely want to make the jump to Xbox One. You’ve likely grown accustomed to the Microsoft ecosystem and its stable of properties, so the move to Xbox One will be a familiar one. Gamers loyal to other platforms may not find that much to sway their mind with the Xbox One, particularly this early into its life cycle. There are currently several unknown factors about the Xbox One related to performance and upcoming titles, so some may want to wait a bit longer until they are able to make a more informed decision. At the moment, the Xbox One is very much an early adopter technology. Even so, there is plenty of gaming and entertainment to be had from it until the console finds its own identity.